My pagiging Ilocano (kuripot or in English thrifty) comes in. 😀 And as I’ve said it’s very easy to prepare, just mix the marinade and marinate for an hour or less and ready to bake. 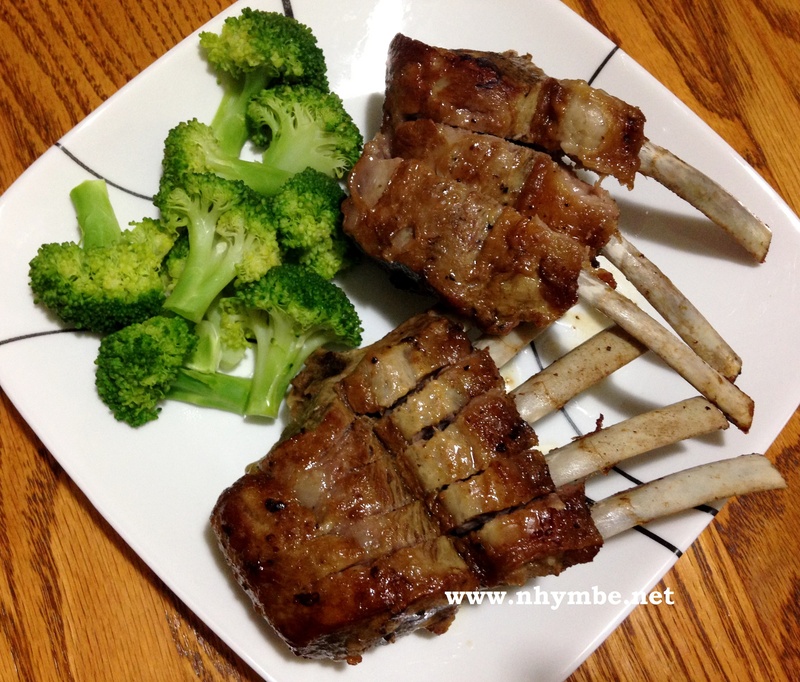 Lamb ribs can be bought in any supermarket, but we prefer buying it in Costco to be sure it’s fresh. 1) In a medium mixing bowl or pan, mix the black pepper, garlic powder, and salt and rub the mixture to the lamb ribs thoroughly. 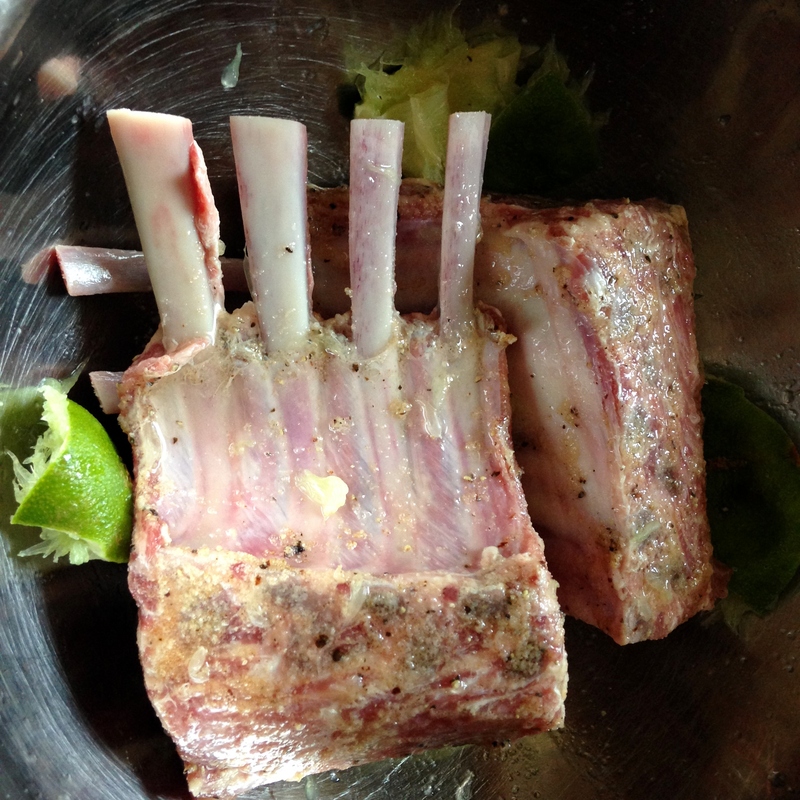 2) Pour the green lime on the lamb ribs (rubbed with marinade mixture) and marinate for 30 minutes to 1 hour. 3) Preheat the oven to 400 degrees Fahrenheit. While preheating the oven, sear fry the lamb ribs until light brown. 4) Put the lamb ribs to the baking pan and bake it for 16-20 minutes, then remove the pan from the oven and cover it with aluminum foil. 5) Adjust the heat of the oven to 325 degrees Fahrenheit and bake again the lamb ribs (this time covered), for about 10-15 minutes. 6) While waiting for the lamb to be done, prepare the broccoli for blanching. In a small sauce pan, pour 1 cup of water and add 1 tablespoon of salt. 7) Let it boil then add the sliced broccoli and simmer for 40 seconds then drain the water. Return to heat and add 1 tablespoon of butter and add 1/2 teaspoon of black pepper. 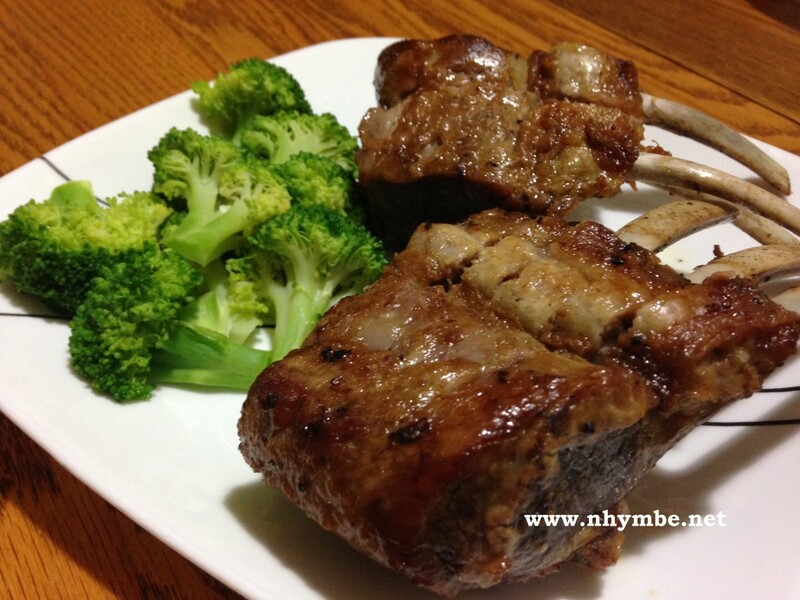 8) When the lamb is ready, put it in a serving plate together with the broccoli. Share and enjoy!